Do not get a boars hair brush before you read this! What’s the oldest, simplest, and most effective hair care tip? That’s right – brushing. Plain, simple brushing. We’re not saying you should go all Marcia Brady on your hair, but you shouldn’t underestimate the power of a good brushing. When you’re gently brushing your hair, you’re allowing the moisturizing oils of your scalp to coat the whole strand, distributing the natural oils of your scalp evenly throughout your hair. Another thing you shouldn’t underestimate when it comes to keeping your hair happy and healthy is your hairbrush. 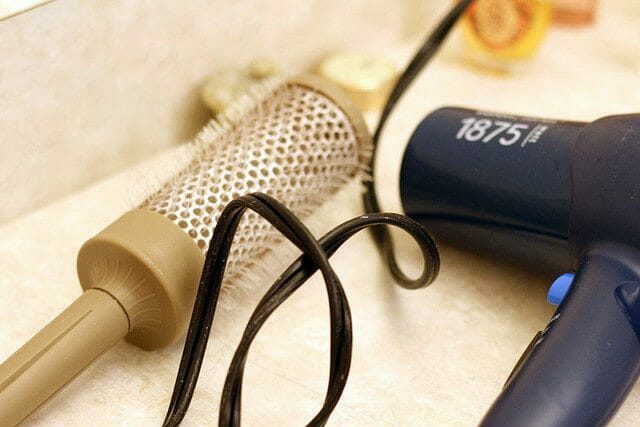 Are you sure you’re grooming your hair with the best brush? Want more than brushing? Click here to read more tips on how to naturally help your hair to grow thicker and longer. Now, different types of hair brushes are for different types and styles of hair. So, if you think that a brush is a brush, you’re wrong. If you’re one of those people who had never used anything but a boars hair brush, oh boy, we got some work to do here. Finding the right size, shape and bristles for your hair is not easy at all. However, we made a list with hair brushes for every hair type. Keep reading to meet the perfect match for your hair and to figure out whether or not you should go for boars hair brush. Now, boars hair brushes properly distribute the scalp oils and seal your cuticles so that your hair appears lustrous and shiny. However, this brush is not good for those with thin, short, or oily hair, and it might create static. Also, you may be reluctant to use a dead animal’s fur like some neanderthal while there are perfectly good synthetic options out there. 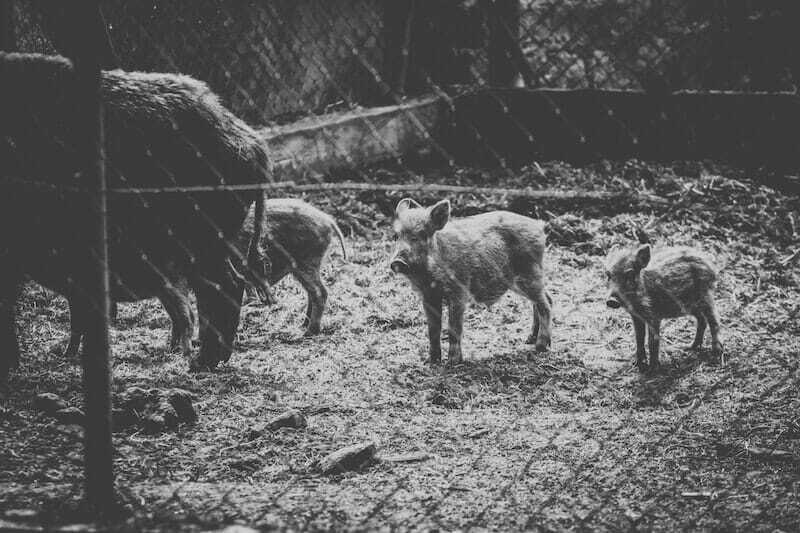 Boars are bred on boar farms for meat and their bristles. In theory, you could shave boars to obtain the hairs, but in boars are huge powerful animals — so in most cases, they are not living (or dying) exactly humanely. Most of these farms are in China which is outside the jurisdictions of EU and US, not responsible to follow any regulations. On top of this, these “natural” brushes are typically much more expensive. All of this is why this post is not a market guide to the best boars hair brush, but rather their nature-friendly alternatives. So, if you’re looking for something other than a boars hair brush, following are the brush types you should consider. The paddle brush is another must have tool for every girl. It keeps the strands looking their finest. These brushes redistribute sebum throughout the strand, creating a glossy and beautiful finish while smoothing the cuticle. Paddle brushes have bristles coming out of an extremely soft cushion which makes them great for detangling, smoothing the hair and massaging the scalp. The cushion is usually air-filled, and thus it bends with the scalp in order to minimize the damage from pulling while brushing. Here’s one that you can get as an add-on item on Amazon. Simply add it to the next order you place. Vented brushes are perfect for drying your hair; they speed up the drying time because the heat from the blow dryer reaches the strands from all angles. They are used for creating volume and root lift. Since the drying time is shorter, this brush prevents heat damage. These brushes are made of plastic, wood, or metal. However, we can’t say the vented brush is for everyone; if your hair is static and flyaway, you might need to opt for different hair brush. The vented brush is a simple brush, so it gives the simplest of effects. Here, you can grab one for very cheap. Click to see if the price has gone down. Round brush is the perfect hair brush for people who want a blowout with tons of volume and a little bit of curl here and there. 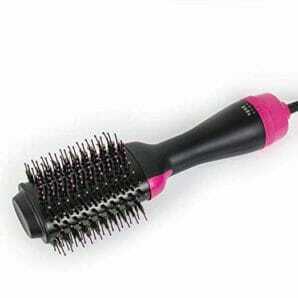 You can find this type of brush in different sizes; if you want tighter curls, choose a smaller brush. If you want to create straight and sleek hair, use large or even extra large brush. Many people prefer this type of hair brush over any other because they are great for many things – from a smooth natural texture to creating different styles with bend and body. Click here to take a look at top-selling round brush and read nearly 200 reviews! So, instead of just grabbing the first boars hair brush you see, inform yourself about the different types of hair brushes. You know, there are other types than the classic boars hair brush. Ask your hairstylist for more advice because brushing your hair with the correct brush for your hair type and texture, as well as the style you’re trying to achieve is of an utmost importance. As you can see, hair brushes come in different shapes and sizes and are designed to do different things. We hope we helped you in the search for your perfect hair brush; with so many options currently on the market, buying the right hair brush can get quite confusing. There is a lot of recommendation for what NOT to get for fine or oily hair. Any suggestions for those of us who are looking for a new brush who have fine hair? I try not to over wash it and want a brush that can distribute the oils on my scalp.